I've been using Michael Todd's Soniclear for over a year now and absolutely adore it. It leaves my skin and body feeling very clean and smooth after without the need to scrub it with something harsh..
As someone that travels a lot I'm always a bit paranoid of packing it along with the charger because I'm afraid of it getting crushed, leaving the charging adapter at home (or worse, vacation), or it turning on while at the airport and having the TSA need to search my bag! On top of that, as a blogger, I have some essentials that I NEED to travel with even on short trips and can't afford to have my face not looking it's best. 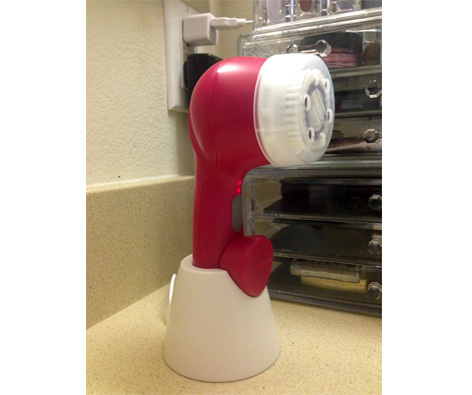 Face scrubs and cleansers are great but I got into the habit of using my Soniclear and really like the deep clean that it gives me. That's why I was super excited to give Michael Todd's Soniclear Petite a try. 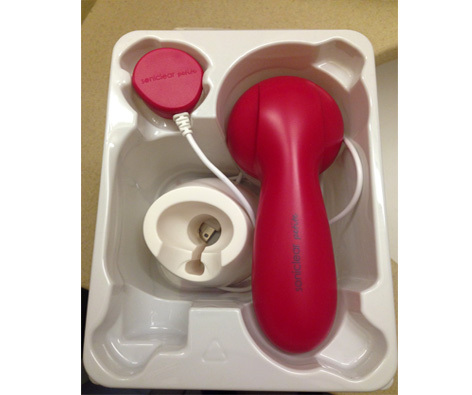 The Soniclear Petite offers the same benefits as their full sized one, it just comes with one less accessory to carry around and doesn't have the larger body attachment. But for a travel sized facial cleanser, I can dig that. It charges via USB which means I can charge it any time, anywhere, so long as I have my laptop or my iPhone charging box. Plus it charges in a really cool way: if I don’t carry the charging cradle with me that’s okay because the charging port magnetically attaches directly to the device. I usually use it with my Neutrogena Makeup Removing Cleanser because it doesn’t have any harsh or abrasive particles but they do say that it can be used with soft exfoliating scrubs. 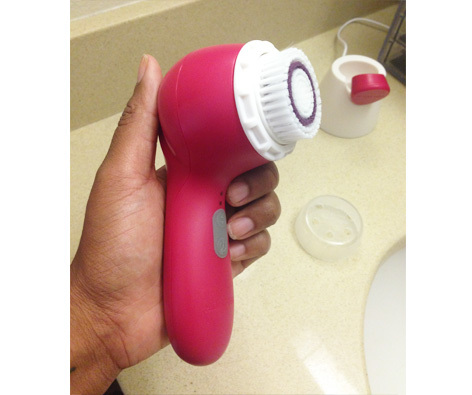 Because I tend to space out while I’m doing anything, especially getting my beauty routine on, I like that the soniclear beeps when it’s time to move on to a different section of my face, ensuring that I cover all areas and don’t linger too long on one spot. When I’m done using it I just rinse the brush head and handle with warm water and place it on the cradle so it can be ready for the next use. Since I do have the full sized one I won’t be using the petite much while I’m at home but I’ll make sure to always keep it charged so that it’s ready to use when I’m on the go.